When you have finished your prayers, do your hearts feel calm in the presence of God? (Yes.) If a person’s heart can be calmed, they will be able to hear and understand the word of God and they will be able to hear and understand the truth. If your heart is unable to be calmed, if your heart is always adrift, or always thinking of other things, it will affect your coming together to hear the word of God. So, what is at the heart of what we are discussing at this time? Let us all think back a little on the main point. Regarding knowing God Himself, the unique, in the first part, we discussed God’s authority. In the second part, we discussed God’s righteous disposition. And we discussed God’s holiness in the third part. Has the specific content we discussed each time left an impression on you? In the first part “God’s authority,” what left the deepest impression on you, what part had the most impact for you? (God first communicated the authority and might of the word of God; God is as good as His word and His word shall become true. This is the inherent essence of God.) (God’s commands to Satan that it may tempt Job, but may not take his life. From this we see the authority of God’s word.) This is an understanding you gained after hearing the fellowship. Is there anything else to add? (God used words to create the heavens and the earth and everything in them, and He speaks to make a covenant with man and to put His blessings upon man. These are all examples of the authority of God’s word. Besides, we see when the Lord Jesus commanded Lazarus to walk out from his tomb that life and death are under God’s control, which Satan has no power to control, and that whether God’s work is done in flesh or in Spirit, His authority is unique.) Very good! When we talk about God’s authority, what is your understanding of the word “authority”? Within the scope of God’s authority, in what God does and reveals, what do people see? (We see God’s almightiness and wisdom.) (We see that God’s authority is ever-present and that it truly, truly exists. We see God’s authority on the large scale in His dominion over the universe, and we see it on the small scale as He takes control of human life. God actually plans and controls the six junctures of lives. Furthermore, we see that God’s authority represents God Himself, the unique, and none of the created or non-created beings may possess it. God’s authority symbolizes His status.) “Symbols of God’s status and God’s position,” you seem to have a doctrinal understanding of these words. Do you have any substantive knowledge of God’s authority? (God has watched over us and protected us since we were young, and we see God’s authority in that. We were not aware of the dangers that befell us, but God was always protecting us behind the scenes; this is also God’s authority.) Very good, well said. When we talk about God’s authority, where is the focus, the main point? Why do we need to discuss this content? Firstly, the purpose of discussing this content is for people to confirm God’s status as the Creator and His position among all things; this is something they can understand, something they can see and feel. What you see and what you feel are from God’s actions, God’s words, and God’s control of the universe. So, what true understanding do people gain from all that they see, learn, and know through God’s authority? This is the first thing, which we’ve already discussed. Secondly, when people see all that God has done and said and controlled through His authority, it allows them to see God’s power and wisdom. It allows them to see God’s great power to control everything and how wise He is as He does so. Isn’t this the focus and the main point of God’s unique authority that we discussed before? Not much time has passed and yet some have forgotten this, which proves that you have not fully comprehended God’s authority; one could even say that you have not seen the authority of God. Do you now understand this a little bit? When you see God’s authority in action, what will you truly feel? Have you truly felt God’s power? (We have.) When you read God’s words about His creation of the universe you feel His power, you feel His omnipotence. When you see God’s dominion over the fate of men, what do you feel? Do you feel His power and His wisdom? If God did not possess this power, if He did not possess this wisdom, would He be qualified to have dominion over the universe and have dominion over the fate of men? If someone does not have the ability to do their job, does not possess the necessary strengths and lacks the proper skills and knowledge, would they be qualified for their job? They definitely would not be qualified; a person’s potential to do great things depends on how great their abilities are. God possesses such power as well as the wisdom, and so He has the authority; this is unique. Have you ever known any one creature or person in the universe to possess the same power that God has? Is there anyone or anything with the power to create the heavens and earth and all things as well as control and have dominion over them? Is there anyone or anything that can rule over and lead all of humanity and be both ever-present and omnipresent? (No, there is not.) Do you now understand the true meaning of all that is entailed in God’s unique authority? Do you have some understanding? (We do.) We have now reviewed the points covering God’s unique authority. In the second part, we talked about God’s righteous disposition. We did not discuss many things regarding God’s righteous disposition. This is because God’s work is primarily judgment and chastisement in this stage. God’s righteous disposition has been clearly revealed in the Age of Kingdom, very specifically. He has said the words He has never said from the time of creation; and in His words all people, all who have seen His word, and all who have experienced His word have seen His righteous disposition revealed. Then what is the main point of what we are discussing about God’s righteous disposition? Have you developed a deep comprehension of what you’ve learned? Have you gained understanding from any of your experiences? (God’s burning of Sodom was because the people at that time had become very corrupted and thereby drew the ire of God. It is from this that we see God’s righteous disposition.) First, let’s take a look: If God had not destroyed Sodom, would you be able to know of His righteous disposition? You would still be able to, right? You can see it in the words He has expressed in the Age of Kingdom, and also by His judgment, chastisement, and curses leveled against man. Do you see God’s righteous disposition from His sparing of Nineveh? (We do.) In this age, you can see something of God’s mercy, love, and tolerance. You can see it when men repent and God has a change of heart toward them. Using these two examples as the premise to discuss God’s righteous disposition, it is very clear to see that His righteous disposition has been revealed. However, in reality this is not limited to what is recorded in these two Bible stories. From what you have now learned and seen through God’s word and His work, from your current experience of them, what is God’s righteous disposition? Discuss from your own experiences. (In the environments God created for people, when they are able to seek out truth and act under God’s will, God guides them, enlightens them, and lets them feel the light inside them. When people go against God and resist Him and go against His will, there is darkness inside them, as if God has forsaken them. Even they pray and do not know what to say to Him, but when they put aside their own notions and imaginations and become willing to cooperate with God and strive to improve, it is here when God’s smiling face begins to gradually appear. From this we have experienced the holiness of God’s righteous disposition; God appears in the holy kingdom and He is concealed in places of filth.) (I see God’s righteous disposition in the way He treats people. Our brothers and sisters are different in stature and caliber, and what God requires from each of us differs as well. We are all able to receive the enlightenment of God to varying degrees, and in this way I see God’s righteousness. This is because man cannot treat man in this same way, only God can do so.) You have all spoken of some practical knowledge. Do you understand the main point about knowing God’s righteous disposition? You may have a lot to say about your experiences in this regard, but there are a few main points I should tell you about. To understand God’s righteous disposition, one must first understand God’s feelings: what He hates, what He loathes, what He loves, who He tolerates, who He is merciful to, and what type of person receives that mercy. This is an important point to know. 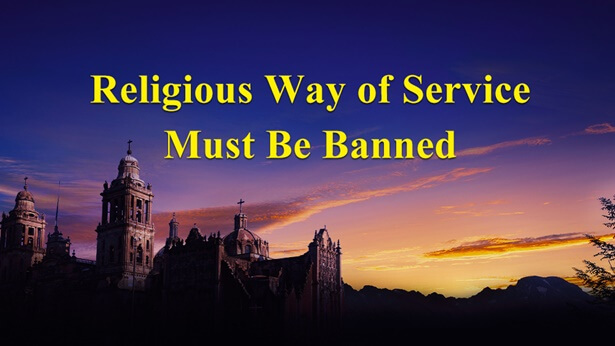 Furthermore, one must understand that no matter how loving God is, no matter how much mercy and love He has for people, God does not tolerate anyone offending His status and position, nor does He tolerate anyone offending His dignity. Even though God loves people, He does not spoil them. He gives the people His love, His mercy, and His tolerance, but He has never pandered to them; He has His principles and His limits. Regardless of what extent you have felt God’s love in you, regardless of how deep that love is, you must never treat God as you would treat another person. While it is true that God treats people as close to Him, if a person views God as another person, as if He were just another being of creation, like a friend or an object of worship, God will hide His face from them and forsake them. This is His disposition, and He tolerates no one treating Him with carelessness on this issue. So it is often said of God’s disposition in His word: It doesn’t matter how many roads you’ve traveled, how much work you have done or how much you have endured, as soon as you offend God’s disposition, He will repay each of you based on what you have done. What this means is that God views people as close to Him, but people must not treat God as a friend or a relative. Do not regard God as your pal. No matter how much love you have received from Him, no matter how much tolerance He has given you, you must never treat God as just a friend. This is God’s righteous disposition. You understand, right? Do I need to say more about this? Do you have any previous understanding on this matter? Generally speaking, this is the easiest mistake people make regardless of whether they understand the doctrines, or if they have thought nothing about it before. When people offend God, it might not be because of one instance, or one thing they said, but it is rather due to an attitude they hold and a state they are in. This is a very frightening thing. Some people believe that they have an understanding of God, that they know Him, they might even do some things that would please God. They begin to feel equal to God and that they have cleverly become friends with God. These types of feelings are terribly wrong. If you do not have a deep understanding of this, if you do not clearly understand this, it is then very easy to offend God and to offend His righteous disposition. You understand this now, right? Isn’t God’s righteous disposition unique? Is it equal to the personality or the personal qualities of a man? Never, right? So, you must not forget that no matter how God treats people, no matter how He thinks of people, God’s position, authority, and status do not ever change. For mankind, God is always the Lord of all and the Creator. You understand, right? Today we have done an overview of several parts of the content from previous meetings. We will wrap up our overview here. I hope that all of you will take to heart the main points of each item and topic. Don’t just think of them as doctrines; really read through them and try to figure them out when you have time. Remember them in your heart and put them into practice and you will truly learn all that I have said about the true revealing of God’s disposition and what He has and is. However, you will never understand them if you only jot them down in your notebook and do not read through them or think them over. You understand now, right? After having communicated these three items, people will have gained a general—or even specific—understanding of God’s status, His essence, and His disposition. But will they have a complete understanding of God? (No.) Now, in your own understanding of God, are there any other areas where you feel you need a deeper understanding? That is to say, after you have gained understanding of God’s authority, His righteous disposition, and His holiness, perhaps you have established in your own mind a recognition of His unique status and position, yet you must through your experience come to know and appreciate His actions, His power, and His essence before you can gain a deeper understanding. You have now listened to these fellowships so you can set in your hearts this article of faith: God truly exists, and it’s a fact that He commands all things. No man must offend His righteous disposition and His holiness is a certainty that no man may question. These are facts. These fellowships allow the status and position of God to have a foundation in the hearts of the people. Once this foundation has been established, people must try to understand more. Today I will fellowship about a new topic with you. What will the topic be? The title of the topic will be “God Is the Source of Life for All Things.” Isn’t this a fairly large topic to discuss? Does it feel like something that might be a little out of reach? God being the source of life for all things might seem like a topic that people feel detached from, but all who follow God must understand it. This is because this subject is inextricably linked with each person knowing God, being able to satisfy Him, and revere Him. Therefore, this topic must be communicated. Before, some people might have a basic understanding of this topic, or perhaps some people were aware of it. They may have a simplistic knowledge or a superficial understanding of it in their minds. Others may have some special experiences of it; due to their unique experiences, in their hearts they have a profound understanding of it. But whether knowledge of this is deep or superficial, for you it is one-sided and not sufficiently specific. So, this topic must be communicated, the purpose of which is to give you a more specific and deeper understanding. I will use a special method to fellowship about this topic with you, a method we have not used before and one that you may find a bit unusual, or a bit uncomfortable. Nonetheless, after you hear it you will know it, whatever the method may be. Do you like listening to stories? (We do.) It seems that I was right to choose the method of telling a story. You all like to hear stories. Well, let’s begin. You don’t need to write this down in your notes. I ask that you be calm, and not fidget. You may close your eyes if you feel that having your eyes open would cause you to be distracted by your surroundings or the people around you. I have a wonderful little story to tell you. It is a story about a seed, the earth, a tree, the sunlight, the songbirds, and man. The story I am going to tell has what main characters in it? (A seed, the earth, a tree, the sunlight, the songbirds, and man.) Will God be in it? (No.) But I am sure that after the story is told you will feel relaxed and content. Alright then, you may listen quietly. Years passed, and the sprout was now a towering tree. It had grown stout branches tipped with countless leaves and stood strong upon the earth. The tree’s roots dug into the earth as they had before, but they now plunged deep into the soil below. What had once protected the sprout was now the foundation for the mighty tree. All of the things I just talked about are things you have seen before, like seeds, you know about this, right? A seed growing into a tree might not be a process you see in detail, but you know that it is a fact, right? You know about the earth and the sunlight. The image of songbirds perching in a tree is a thing all people have seen, right? And people cooling off in the shade of a tree, you’ve all seen that, right? (We have seen that.) So what feeling do you get when you see all these examples in one image? (Harmony.) Do all the examples that exist in this image come from God? (Yes.) As they come from God, God knows the value and significance of these several examples existing together on the earth. When God created all things, He had a plan for each item, and each thing He created shows His intentions and He imbues life in them. He created the living environment for mankind, which is discussed in the story we just heard. It discussed the interdependence the seed and the earth have; the earth nourishes the seed and the seed is bound to the earth. The relationship between these two was predetermined by God from the very beginning. The tree, the sunlight, the songbirds, and man in this image are an example of the living environment that God created for mankind. First, the tree cannot leave the earth, and it cannot be without sunlight either. Then what was God’s purpose for creating the tree? Can we say that it was just for the earth? Can we say that it was just for the songbirds? Can we say that it was just for the people? (No.) What is the relationship between them? The relationship between them is one of interdependence wherein they cannot be separated. That is to say, the earth, the tree, the sunlight, the songbirds, and the people rely on one another for existence and they nurture one another. The tree protects the earth while the earth nurtures the tree; the sunlight provides for the tree, while the tree creates fresh air from the sunlight and helps soothe the earth from the heat of the sunlight. Who benefits from this in the end? Mankind benefits from this, right? And this is one of the principles behind why God made the living environment for mankind and one of the primary purposes for it. Even though this is a simple picture, we can see God’s wisdom and His intentions. Mankind cannot live without the earth, or without trees, or without the songbirds and sunlight, right? Even though it was a story, it is a microcosm of God’s creation of the universe and His bestowal of the living environment upon man. God created the heavens and earth and all things for mankind and He created the living environment as well. First, the main point we discussed in the story is the interconnected relationships and interdependence of all things. Under this principle, the living environment for mankind is protected, it survives and continues; because of the existence of this living environment, mankind can thrive and reproduce. We saw the tree, the earth, the sunlight, songbirds, and people in the scene. Was God there as well? People may not see it, right? But people can see the rules of the interconnected relationships between the things in the scene; it is through these rules that people can see that God exists and that He is the Ruler. God uses these principles and rules to preserve the life and existence of all things. It is in this way that He provides for all things and He provides for mankind. Does this story have any connection to the theme we just discussed? On the surface it seems like there isn’t one, but in reality, the rules God has made as the Creator and His dominion over all things are strongly connected with His being the source of life for all things and they are inextricably linked. You’ve learned a little something, right? God is the Master of the rules that control the universe, He controls the rules that govern the survival of all things, and He also controls the universe and all things such that they can live together; He makes it so they do not go extinct or disappear so that mankind may continue to exist, man can live in such an environment through God’s leadership. These rules that govern all things are under the dominion of God, and mankind cannot intervene and cannot change them; only God Himself knows these rules and only He Himself manages them. When will the trees sprout, when will it rain, how much water and how many nutrients will the earth give the plants, in what season will the leaves fall, in what season will the trees bear fruit, how much energy will the sunlight give the trees, what will the trees exhale from the energy they get from the sunlight—these are all things that God had already arranged when He created the universe and they are laws that cannot be broken by man. The things created by God—whether they are living or appear to be non-living by people—are all in God’s hands and under His dominion. No man can change or break this rule. That is to say, when God created all things He formulated how they should be. The tree could not set down roots, sprout, and grow without the earth. If the earth had no trees, it would dry out. Also, the tree is the home of the songbirds, it is a place where they take shelter from the wind. Would it be OK if the tree went without sunlight? (It would not be OK.) If the tree only had the earth that would not work. All of this is for mankind and for mankind’s survival. Man receives fresh air from the tree, and lives upon the earth protected by it. Man cannot live without sunlight, man cannot live without all the various living beings. Even though the relationships between these things are complex, you must remember that God created the rules that govern all things so that they may exist in an interconnected and interdependent way; every single thing He created has value and significance. If God created something without significance, God would let it disappear. This is one of the methods He used in the provision of all things. What does “provide for” refer to in this story? Does God go out and water the tree every day? Does the tree need God’s help to breathe? (No.) “Provide for” in this instance refers to God’s management of all things after creation; all He needed were rules to keep things running smoothly. The tree grew all by itself by being planted in the earth. The conditions for it to grow were all created by God. He made the sunlight, the water, the soil, the air, and the surrounding environment, the wind, frost, snow, and rain, and the four seasons; these are the conditions that the tree needs in order to grow, these are things that God prepared. So, is God the source of this living environment? (Yes.) Does God have to go out every day and count each leaf on the trees? There’s no need, right? God also doesn’t have to help the tree breathe. God also doesn’t have to wake up the sunlight every day by saying, “It’s time to shine on the trees now.” He doesn’t have to do that. The sunlight shines down on its own as prescribed by the rules; when needed, the tree absorbs the sunlight, and when sunlight is not needed, the tree still lives within the rules. You may be incapable of explaining this phenomenon clearly, but it is a fact everyone can see and acknowledge. All you need to do is recognize that the rules for the existence of all things come from God and know that their growth and survival are under God’s dominion. You understand, right? Is a metaphor used in this story, as men would call it? Is it anthropomorphic? (No.) What I talked about is truth. Everything that is alive, everything that has life is under the dominion of God. It was given life after God created it; it is life given from God and it follows the laws and path He created for it. This needs not be altered by man, and needs no help from man; this is how God provides for all things. You understand, right? Do you think it is necessary for people to recognize this? (Yes.) So, does this story have anything to do with biology? Does it have any relation to any field of knowledge or science? We are not discussing biology here and we certainly are not doing any biological research. What is the main point that we are talking about here? (That God is the source of life for all things.) What do you see among all things of creation? Have you seen trees? Have you seen the earth? (Yes.) You have seen the sunlight, right? Have you seen birds perching in the trees? (We have.) Is mankind happy to live in such an environment? (He is happy.) That is to say, God uses all things—the things He created—to maintain mankind’s home for survival and protect mankind’s home, and this is how He provides for man and provides for all things. How do you feel about My discussing things in this manner and My communicating in this way? (It’s easy to understand and there are practical examples of it.) This is a substantive way to discuss things, right? Is this story necessary to help people recognize that God is the source of life for all things? (Yes.) If it’s necessary, then we shall continue with the next story. The content in the next story is a little bit different and the main point is a bit different as well; the things in the story are what people can see among God’s creation. I will once again use the method of telling you a story, which you may all quietly listen to and think over what it is I’m talking about. After I finish the story, I’ll ask you some questions to see how much you’ve learned. The main characters in this story are a great mountain, a little stream, a fierce wind, and a gigantic wave. Over the centuries, the tiny stream trickled gently around the foot of the mountain. By following the course the mountain had made, the tiny stream made it back to its home; it joined the river, and flowed into the sea. Under the mountain’s care, the tiny stream never became lost. The tiny stream and the great mountain relied on one another, they restrained one another, and depended on one another. Over the centuries, the fierce wind did not change its habits of howling at the mountain. The fierce wind blew great swirls of sand when it “visited” the mountain just as it had before. It threatened the mountain, but never broke through the middle of the mountain. The fierce wind and the great mountain relied on one another, they restrained one another, and depended on one another. Over the centuries, the gigantic wave did not rest either, and never stopped expanding. It would roar and surge again and again toward the mountain, yet the mountain never moved an inch. The mountain watched over the sea, and in this way, the creatures in the sea multiplied and thrived. The gigantic wave and the great mountain relied on one another, they restrained one another, and depended on one another. This story is finished. First, what can you tell Me about this story, what the main content was? First there was a mountain, a tiny stream, a fierce wind, and a gigantic wave. What happened in the first part with the tiny stream and the great mountain? Why would we talk about the great mountain and the little stream? (Because the mountain protected the stream, the stream never got lost. They relied on each other.) Would you say the mountain protected or obstructed the tiny stream? (Protected it.) Could it be that it obstructed it? The mountain and the tiny stream were together; it protected the stream, and it was also an obstruction. The mountain protected the stream so it could flow into the river, but also kept it from flowing all over the place where it could flood and be disastrous for the people. Is this the main point of this section? The mountain’s protection of the stream and its acting as a barrier safeguarded the homes of the people. Then you have the tiny stream joining the river at the foot of the mountain and later flowing into the sea; isn’t that the imperative of the tiny stream? When the stream flowed into the river and then the sea, what was it relying on? Wasn’t it relying on the mountain? It was relying on the mountain’s protection and the mountain acting as a barrier; is this the main point? Do you see the importance of mountains to water in this instance? Does God have His purpose in making mountains both high and low? (Yes.) This is a small part of the story, and from just a tiny stream and a big mountain we are able to see the value and significance of these two things in God’s creation of them. We can also see His wisdom and purpose in how He rules these two things. Isn’t that right? What does the second part of the story deal with? (A fierce wind and the great mountain.) Is wind a good thing? (Yes.) Not necessarily, since sometimes if the wind is too strong it can be disastrous. How would you feel if you had to stay out in the fierce wind? It depends on how strong it was, right? If it was a slight breeze, or if it was a level 3–4 wind then it would still be tolerable, at most a person would have trouble keeping their eyes open. But could you handle it if the wind blew strong enough to become a tornado? You wouldn’t be able to take it. So it’s wrong for people to say that the wind is always good, or that it’s always bad because it depends on how strong the wind is. So what use is the mountain here? Isn’t it somewhat like a filter for the wind? The mountain takes the fierce wind and cuts it down into what? (A slight breeze.) Most people could touch and feel it in the environment where they lived—was it a fierce wind or a slight breeze that they felt? (A slight breeze.) Isn’t this one of the purposes behind God’s creation of mountains? Isn’t this His intent? What would it be like for people to live in an environment where the fierce wind blew around bits of sand without anything to block or filter it? Could it be that with sand and stones blowing around, people wouldn’t be able to live on the land? Some people might get hit in the head by the stones flying about, or others might get sand in their eyes and wouldn’t be able to see. People could get sucked up into the air or the wind could blow so hard they couldn’t stand. Houses would be destroyed and all sorts of disasters would happen. Does the fierce wind have value? When I said that it was bad, then people might feel it has no value, but is that right? Doesn’t turning it into a breeze have value? What do people need most when it’s humid or stifling? They need a slight breeze to gently blow over them, to refresh and clear their heads, to sharpen their thinking, to repair and improve their state of mind. For example, you are all sitting in a room with lots of people and the air is stuffy, and what do you need most? (A slight breeze.) In places where the air is turbid and full of dirt it can slow down a person’s thinking, reduce their blood flow, and make them less clear-headed. However, the air will become fresh if it gets a chance to move and circulate, and people will feel much better. Even though the little stream and the fierce wind could become a disaster, as long as the mountain is there it will turn them into things that actually benefit people; isn’t that right? What does the third part of the story talk about? (The great mountain and the huge wave.) The great mountain and the huge wave. The scenery here is a mountain by the sea where we can see the mountain, the ocean spray, and also, a huge wave. What is the mountain to the wave in this instance? (A protector and a screen.) It is both a protector and a screen. The goal of protecting it is to keep this part of the sea from disappearing so that the creatures that live in it may thrive. As a screen, the mountain keeps the sea water—this body of water—from overflowing and causing a disaster, which would harm and destroy people’s homes. So we can say that the mountain is both a screen and protector. This shows the significance of the mutual reliance between the mountain and the stream, the mountain and the fierce wind, and the mountain and the huge wave and how they restrain one another and depend on one another, which I have spoken of. There is a rule and a law governing the survival of these things that God created. Can you see what God did from what happened in the story? Did God create the universe and then ignore what happened after? Did He give them rules and design the ways that they function and then ignore them after that? Is that what happened? (No.) What is that then? God is still in control of the water, the wind, and the waves. He does not let them run amok and He does not let them harm or destroy people’s homes, and because of this the people can continue to live and thrive on this piece of land. Which means that God had already planned out the rules for existence when He made the universe. When God made these things, He ensured that they would benefit mankind, and He also controlled them so that they wouldn’t be troublesome or disastrous to mankind. If they weren’t managed by God, wouldn’t the waters be flowing everywhere? Wouldn’t the wind be blowing all over the place? Do they follow rules? If God didn’t manage them they wouldn’t be governed by any rules, and the wind would howl and the waters would rise and flow about everywhere. If the huge wave had been higher than the mountain would that area of the sea still be able to exist? The sea wouldn’t be able to exist. If the mountain was not as high as the wave, that area of the sea would not exist and the mountain would lose its value and significance. Do you see God’s wisdom in these two stories? God created the universe and He is Lord of it; He is in charge of it and He provides for it while watching over every word and action. He also oversees every corner of human life. So God created the universe and the significance and value of each thing as well as its function, its nature, and its rules for survival are clearly known to Him like the back of His hand. God created the universe; do you think He has to do research on these rules that govern the universe? Does God need to read up on human knowledge or science to do research and understand it? (No.) Is there anyone among mankind who has the extensive scholarship and ample wisdom to understand all things like God does? There isn’t. Right? Are there any astronomers or biologists who truly understand how all things live and grow? Can they truly understand the value of the existence of each thing? (They cannot.) This is because all things were created by God, and no matter how much and deeply mankind studies this knowledge, or how long they endeavor to learn it, they will never be able to fathom the mystery and purpose of God’s creation of all things, isn’t that right? Having discussed thus far, do you feel that you have a partial understanding of the connotation of the phrase “God Is the Source of Life for All Things”? (Yes.) I knew that when I discussed this topic many people would immediately think of “God is truth, and God uses His word to provide for us,” but they would only think of it on this level. Some would even feel that “God’s providing for human life, providing daily food and drink and all daily necessities doesn’t count as providing for man.” Don’t some people feel this way? Isn’t God’s intent very clear in how He created everything so that mankind may exist and live normally? God maintains the environment in which people live and He provides all of the things this mankind needs. Furthermore, He manages and holds dominion over all things. All of this allows mankind to live normally and thrive normally; it is in this way that God provides for all things and for mankind. Don’t people need to recognize and understand these things? Perhaps some may say, “This topic is too distant from our knowledge of the true God Himself, and we don’t want to know this because man cannot live by bread alone, but instead lives by the word of God.” Is this correct? (No.) What’s wrong here? Can you have a complete understanding of God if you only know the things God has said? If you only accept His work and His judgment and chastisement, will you have a complete understanding of God? If you only know a small part of God’s disposition, a small part of God’s authority, that’s enough to achieve an understanding of God, right? (No. It is too one-sided, and thus our knowledge is hollow. But when we know God in each aspect of God’s work, combined with created things such as the mountains and streams, lakes, seeds, the sunlight, and rain—things that we see, view, and experience—we feel that our understanding becomes real.) God’s actions begin with His creation of the universe and they continue today where His actions are apparent at all times and at every moment. If people believe God exists just because He has chosen some people upon whom He does His work to save those people, and if they believe that other things do not involve God, His authority, His status, and His actions, can that be considered truly knowing God? People who have such a so-called knowledge of God—which is based on a one-sided view that God’s deed is limited to just a group of people. Is this a true knowledge of God? Aren’t people with this kind of knowledge of God denying His creation of all things and His dominion over them? Some people do not wish to pay attention to this, and they may think to themselves: “I don’t see God’s dominion over all things, it’s something too distant from me and I don’t want to understand it. God does whatever He wants and it has nothing to do with me. I only concern myself with accepting God’s leadership and His word and I’ll be saved and made perfect by God. I’ll just pay attention to these things, but I won’t try to understand anything else or give it any thought. Whatever rules God made when He created all things or whatever God does to provide for them and for mankind has nothing to do with me.” What is this kind of talk? Isn’t this utterly disgraceful? Are there any among you who think like this? I know that there are a great majority who do think this way even if you won’t say so. This type of by-the-book person may use their own so-called spiritual standpoint in how they view everything. They want to limit God to the Bible, limit God by the words He has spoken, and limit God to just the literal written word. They do not wish to know more about God and they do not want God to pay more attention in doing other things. This type of thinking is childish and very religious. Can people who hold these views know God? They would have a hard time knowing God. Today I have told these two stories and talked about these two aspects. Having just heard them and having just come into contact with them, you might feel that they are profound or even a bit abstract and difficult to comprehend and understand. It might be hard to connect them with God’s actions and God Himself. However, all of God’s actions and all He has done among all things and among all of mankind should be clearly and accurately known by each and every person and by everyone who seeks to know God. This knowledge will give you confirmation of and faith in the true existence of God. It will also give you accurate knowledge of God’s wisdom, His power, and how He provides for all things. It will allow you to clearly conceive God’s true existence and see that it is not fictional, and not a myth. This allows you to see that it is not vague, and not just a theory, and that God is certainly not just a spiritual sustenance, but He truly exists. Furthermore it allows you to know Him as God in the way He has always provided for all things and for mankind; He does this in His own way and in accordance with His own rhythm. So one can say that it is because God created all things and He gave them rules that by His command they each perform their allotted tasks, fulfill their responsibilities, and play the role that was bestowed upon each of them. All things fulfill their own role for mankind, and do this in the space, the environment where people live. If God did not do things this way and mankind’s environment was not as it is, people’s belief in God or their following of Him—none of it would be possible; it would merely be empty talk, isn’t this correct? What is the purpose of our discussion of these things? Is it so that people can research the rules behind God’s creation of the universe? Is it so that people will become interested in astronomy and geography? (No.) Then what is it? It is so that people will understand the deeds of God. In God’s actions, people can affirm and verify that God is the source of life for all things. If you are able to understand this point, then you will truly be able to confirm God’s place in your heart and you will be able to confirm that God is the unique God Himself, the Creator of the heavens and earth and all things. So, is it useful toward your understanding of God to know the rules of all things and to know God’s deeds? (Yes.) How useful is it? Firstly, when you understand these deeds of God, would you still be interested in astronomy and geography? Would you still have the heart of a skeptic and doubt that God is the Creator of all things? Would you still have the heart of a researcher and doubt that God is the Creator of all things? (No.) When you confirm that God is the Creator of the universe and furthermore come to know the rules behind His creation, will you in your heart truly believe that God provides for the universe? (Yes.) Is “provides” just being said for any type of meaning or is it being said in a special circumstance? That God provides for the universe has a very broad meaning and application. God doesn’t just provide people with their daily needs of food and drink, He provides mankind with everything they need, including everything people see and things that can’t be seen. God upholds, manages, and rules the living environment that mankind needs. Whatever environment mankind needs in whatever season, God has prepared it. Whatever atmosphere or temperature that is suitable for human existence is also under God’s control and none of these rules occur by themselves or at random; they are the result of God’s rule and His deeds. God Himself is the source of all of these rules and is the source of life for all things. This is an established and unassailable fact whether or not you believe it, whether or not you can see it, or whether or not you can understand it. I know that the vast majority of people only believe what God said and did in the Bible, and that God revealed His deeds to a small minority of people so that people could see the value of His existence, and understand His status and know that He truly exists. However, for many more people the fact that God created the universe and that He manages and provides for all things seems vague or ambiguous and they even hold an attitude of doubt. This type of attitude causes people to consistently believe that the laws of the natural world formed on their own, that the changes, transformations, and phenomena of the natural world and the very laws that govern nature arose of their own accord. What this means is that in the minds of people, they cannot imagine how God created and rules over all things, they cannot understand how God manages and provides for all things. Because of the limitations of this premise, people do not believe in God’s creation and lordship over all things and that He is the Provider; and even the believers are simply confined to the Age of Law, the Age of Grace and the Age of Kingdom, that is, the deeds of God as well as His providing for mankind are somehow limited to only His chosen people. This is something I really hate to see and it brings so much pain, because mankind enjoys all that God brings, and yet at the same time they deny all that He does and all that He gives to them. People only believe that the heavens and earth and all things are governed by their own natural rules and by their own natural laws and that they are without any ruler to control them or any ruler to provide for them and keep them. Even if you believe in God, you might not believe all these are His deeds; this is one of the most overlooked areas for every believer in God, for everyone who accepts God’s word, and for everyone who follows God. So, as soon as I begin discussing something that does not connect with the Bible or so-called spiritual terminology, some people become bored or weary or even uncomfortable. They feel that it seems to become alienated from spiritual people and spiritual things. That is a bad thing. When it comes to knowing the deeds of God, even though we don’t mention astronomy, geography, or biology, we know God’s lordship over all things, we know His providing for all things, and that He is the source of all things. This is a critical task and one that must be studied, understand? On the two stories I just told, even though they might have some unusual content and they may have been told and expressed to you in a unique fashion, I nonetheless wanted to use straightforward language and a simple method so that you could grasp and accept something more profound. This was My only goal. I wanted you to see and believe that God is the Ruler of all things from these little stories and scenes. The goal of telling these stories is to allow you to see and know the infinite deeds of God within the finite confines of a story. As for when you will fully reach this result in you, it depends on your own experiences and your individual pursuit. If you pursue truth and if you seek to know God, then these things will serve as a steady and strong reminder to you; they will allow you to have a deeper awareness, a clarity in your understanding, and you will gradually draw close to God’s actual deeds, a closeness that will be without distance and without error. However, if you do not seek to know God, then those stories you heard can’t do you any harm. You may just consider them true stories. Did you understand anything from these two stories? (From God telling us these two stories, we can truly feel that He is the Ruler, Creator, and Manager of all things. We see God’s actions, His omnipotence, and His wisdom, and from this we feel even more deeply the immense love God has toward mankind. Everything God does, He does for mankind.) Firstly, are these two stories set apart from our previous discussion on God’s concern for mankind? Is there an inevitable connection? Is it that within these two stories we see the deeds of God and how He plans and handles everything for mankind? Is it that everything God does and all of His thoughts are geared toward mankind’s existence? (Yes.) Isn’t God’s careful thought and consideration for mankind very evident? Mankind doesn’t have to do anything. God has prepared for people the very air that they breathe. The vegetables and fruits they eat are readily available. From north to south, from east to west, each region has its own natural resources and different crops and the fruits and vegetables have been prepared by God. Speaking of the larger environment, God made all things interconnected, mutually intertwined, and interdependent. He used this method and these rules to maintain the survival and existence of all things and in this way mankind has lived quietly and peacefully and has grown and multiplied from one generation to the next in this living environment up to the present day. That is to say, God balances the natural environment. If God’s sovereignty and control were not in place, no man could maintain and balance the environment, even if it was created by God in the first place. If man were to make a plastic seed and plant it in the soil, would it ever sprout? If man made a plastic tree and put it in the ground, in several hundred years it would never produce a leaf, right? In some places there is no air, therefore people cannot live there and they shouldn’t go out of bounds, this is for mankind’s protection and these things are very mysterious. Each corner of the environment, the length and breadth of the earth, and every living thing on the earth—both the living and dead—were prepared by God and He thought through them: Why is this thing needed? Why is that unnecessary? What is the purpose of having this thing here and why should that go there? God had already thought all this through and there is no need for people to think about them. There are some foolish people who are always thinking about moving mountains, but instead of doing that, why not move to the plains? If you don’t like mountains, why would you go live by them? Isn’t this foolish? What happens if you move that mountain? A hurricane will blow through or a huge wave will wash over and the people’s homes will be destroyed. Wouldn’t that be a foolish thing to do? People can only destroy. They cannot even maintain the only place they have to live, and yet they want to provide for all things. This is impossible. God allows man to manage all things and have lordship over them, but does man do a good job? Mankind tends toward destruction; mankind is not only unable to preserve the things as God created them, he has actually destroyed them. Mankind has reduced the mountains to rubble, choked the seas with earth, and turned the plains into deserts where none can live. Yet there in the desert man has made industry and built nuclear bases and destruction prevails in all directions. The rivers are no longer rivers, the sea no longer the sea…. When mankind breaks the balance and the rules of nature, their day of disaster and death is not far away and is inevitable. When the disaster comes, they will know how precious God’s creation is and how important all of it is for mankind. Man living in an environment with a fine climate is like being in paradise. People do not realize this blessing, but the moment they lose it all they will see how rare and precious all of it is. How would one get all of this back? What could people do if God was unwilling to create it again? What could you do? (We could do nothing.) Actually, there is something you can do and it’s very simple and when I tell you what it is you’ll immediately know that it is feasible. Why has man found himself in his current environmental predicament? Is it because of man’s greed and destruction? If man ends this destruction, won’t the living environment gradually right itself? If God does nothing, if God no longer wishes to do anything for mankind—that is to say, He doesn’t want to intervene—the best method would be for mankind to stop this destruction and return things to how they were. Putting an end to all this destruction means to stop the plundering and devastation of the things God has created. This will allow the environment where man lives to gradually improve. Failure to do so will result in further destruction of the environment and it will only become more serious. Is My method simple? It is simple and feasible, right? Simple indeed, and it is feasible for some people, but is this feasible for the vast majority of people on earth? (It isn’t.) For you, at the very least, is it feasible? (Yes.) What does your “yes” stem from? Could one say that it involves establishing a basis of understanding about God’s deeds? Could one say it involves abiding by God’s rule and plan? (Yes.) There is a way to change all of this, but that is not the topic we are discussing now. God is responsible for every single human life and He is responsible to the very end. God provides for you, even if you have been sickened by the environment destroyed by Satan, or affected by pollution or received some other harm, it doesn’t matter; God provides for you and He will let you live on. Do you have faith in this? (Yes.) God does not take the loss of human life lightly.